This year’s schedule promises to be a tough one. 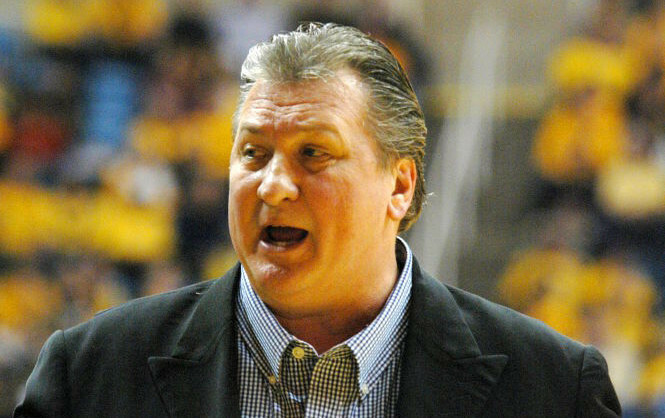 The Mountaineers will have all 31 of their regular season games plus the exhibition game broadcast, including at least 15 regular season games on national television. 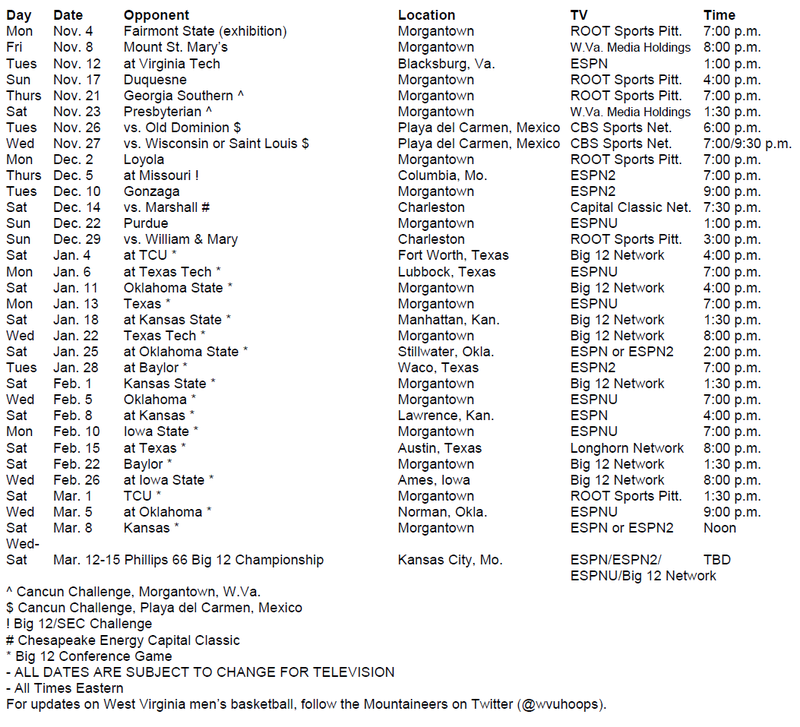 WVU will have at least two games on ESPN (Virginia Tech and at Kansas), three games on ESPN2 (at Missouri, Gonzaga and at Baylor), six games on ESPNU (Purdue, at Texas Tech, Texas, Oklahoma, Iowa State and at Oklahoma) and two games on CBS Sports Network (Old Dominion and Wisconsin or Saint Louis). The game at Oklahoma State and the home game versus Kansas will be televised by ESPN or ESPN2. The Big 12 Network will televise seven West Virginia contests (at TCU, Oklahoma State, at Kansas State, Texas Tech, Kansas State, Baylor and at Iowa State). ROOT Sports Pittsburgh will televise six games (Fairmont State exhibition, Duquesne, Georgia Southern, Loyola, William & Mary and TCU) and West Virginia Media Holdings will televise two contests (Mount St. Mary’s and Presbyterian). The Marshall game will be televised by the Capital Classic Network and the game at Texas will be on the Longhorn Network.